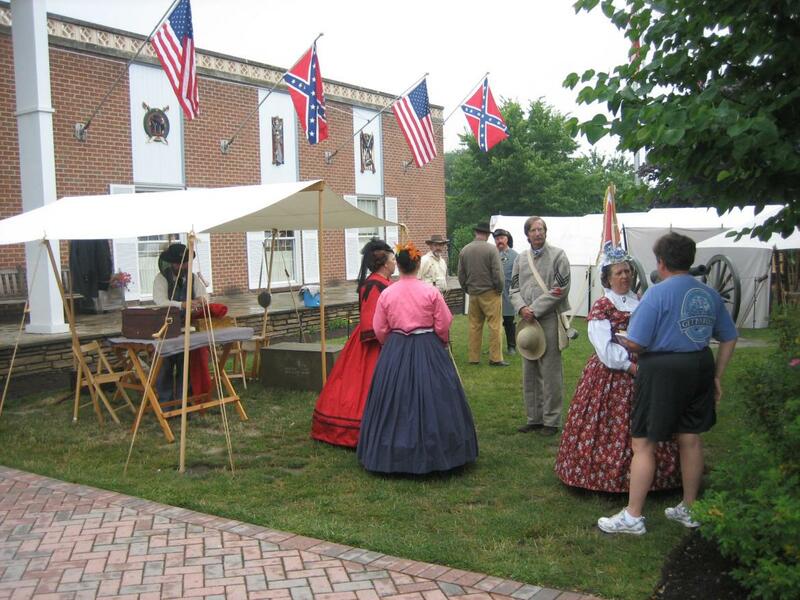 Each weekend during the spring, summer, and fall, the American Civil War Museum hosts the Civil War Heritage Foundation. 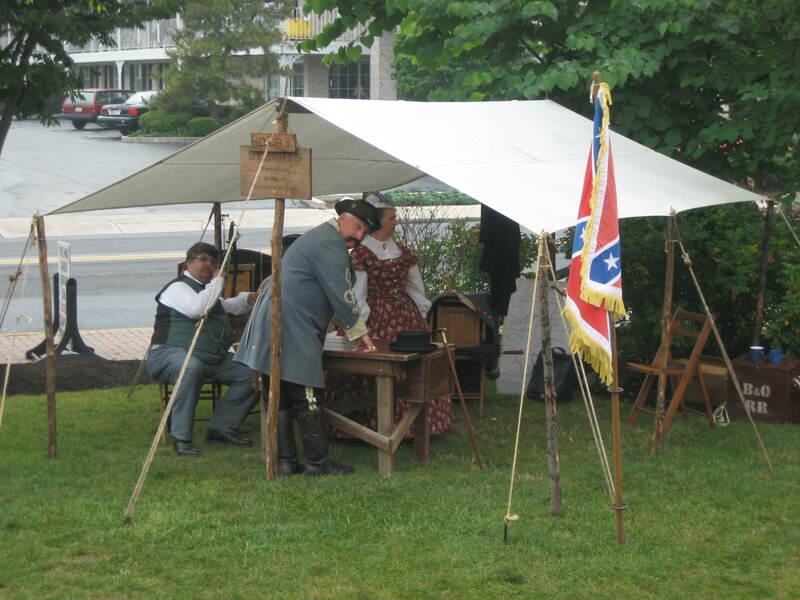 The reenactors portray both United States and Confederate States individuals, and include a civil war chapel, provost marshal, and the officers’ tents for Major-General J.E.B. Stuart and Brigadier-General John Buford. This view was taken from the northwest facing southeast at approximately 9:45 AM on Saturday, July 5, 2008. It was a foggy Saturday morning. 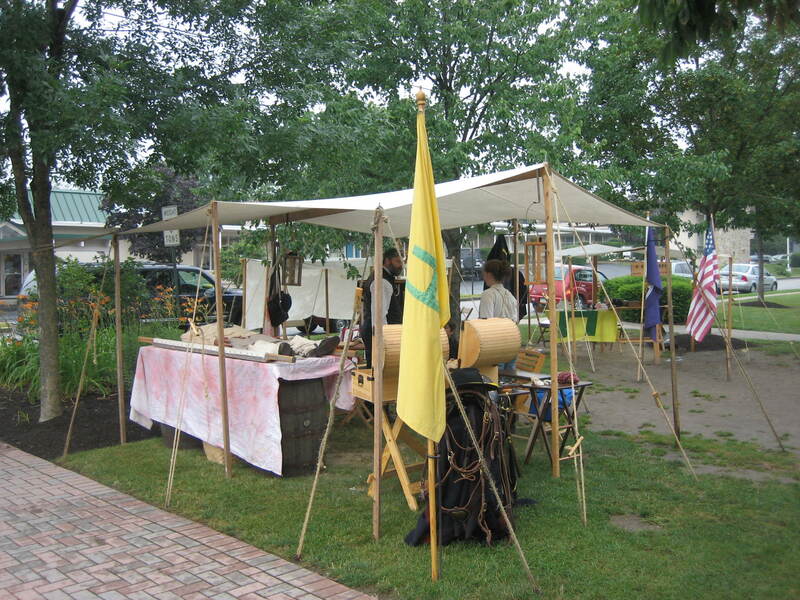 Many people were headed for the reenactment north of town, and the battlefield wasn’t too busy in the morning. 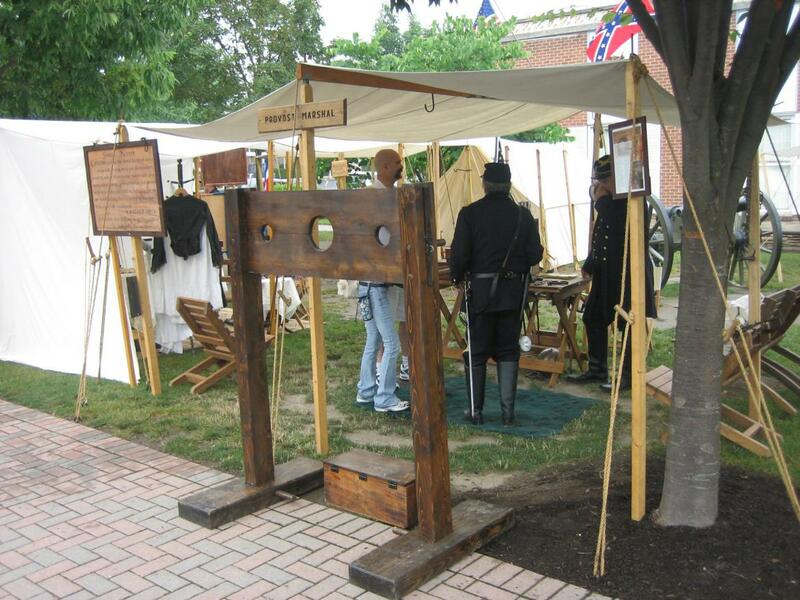 The reasons were probably the reenactment and the weather. It rained during the night and early morning. 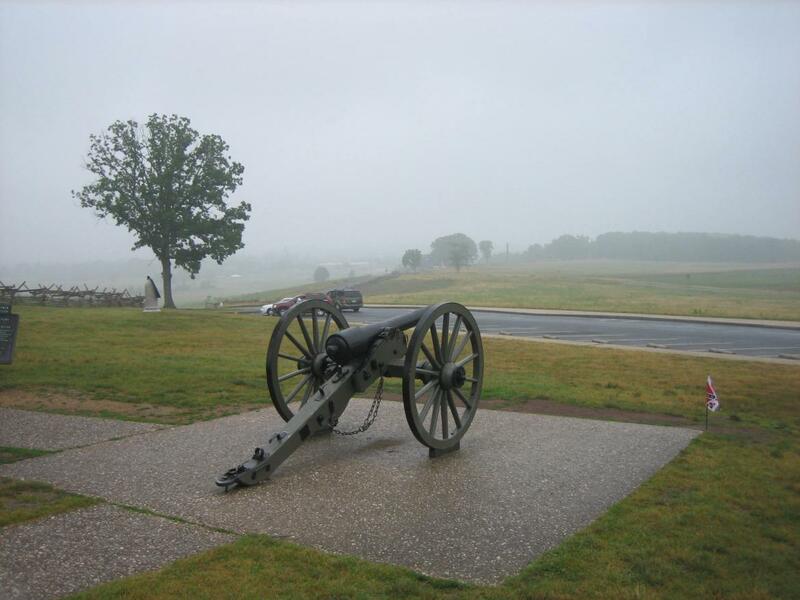 Fog covered the battlefield in the morning. 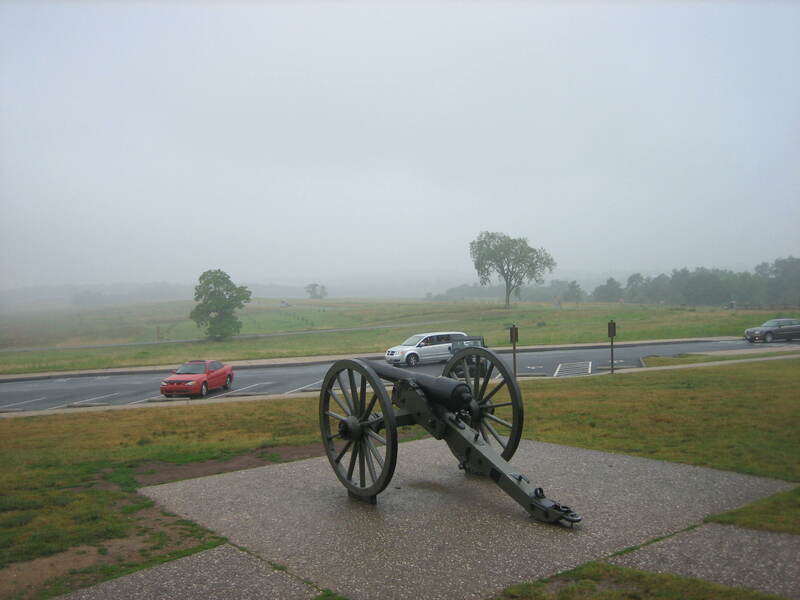 This is the situation when Licensed Battlefield Guides, in order to make up for their visitors not seeing anything, emphasize to them that the battlefield was very smoky, and we are seeing more what the soldiers saw during the battle. 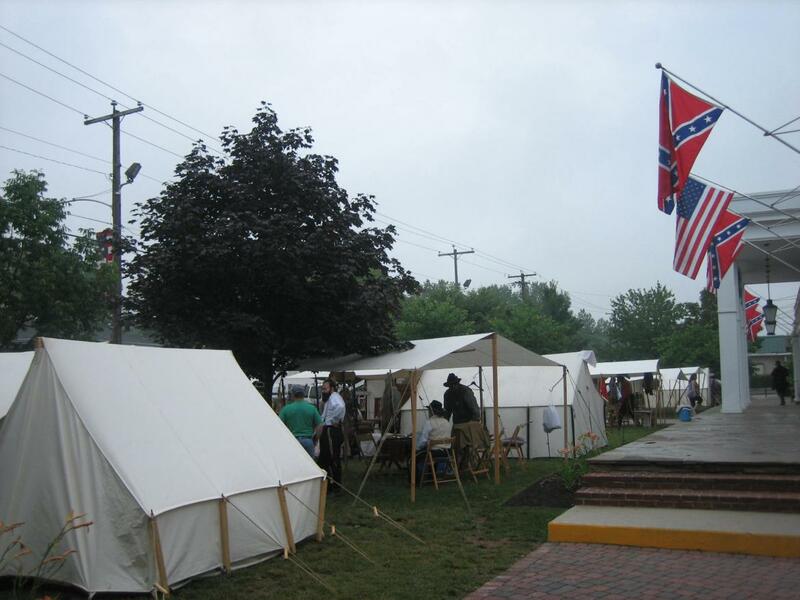 The Gettysburg Daily then took a ride down to the American Civil War Museum on Steinwehr Avenue to look at their Living History encampment. It had been a rainy, morning, but not enough to douse the eternal flame at the Peace Light Monument. This view was taken from the southeast facing northwest at approximately 9:30 AM on Saturday, July 5, 2008. 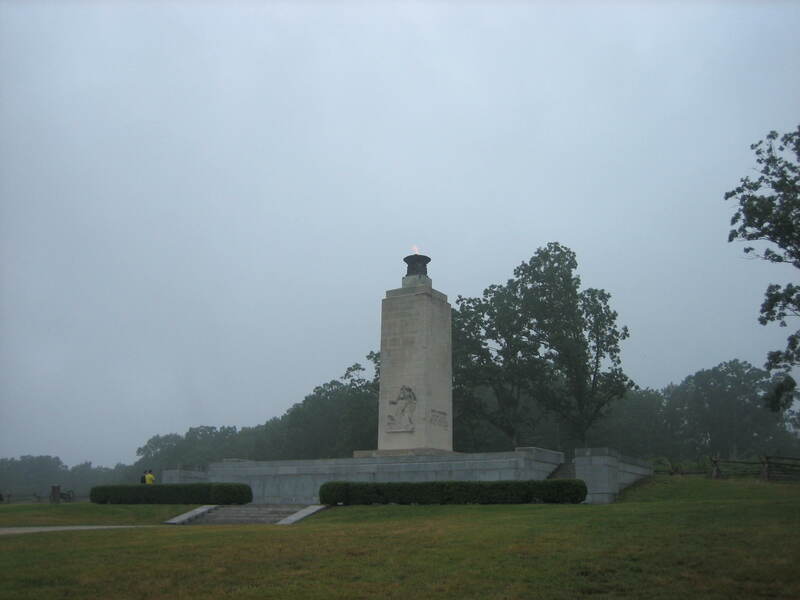 From the Peace Light, it was too foggy to see the mountains to the west… This view was taken from the northeast facing southwest at approximately 9:30 AM on Saturday, July 5, 2008. … or the McPherson Barn just a mile to the south… This view was taken from the north facing south at approximately 9:30 AM on Saturday, July 5, 2008. …or Cemetery Hill and Culp’s Hill beyond the town to the southeast. This view was taken from the northwest facing southeast at approximately 9:30 AM on Saturday, July 5, 2008. 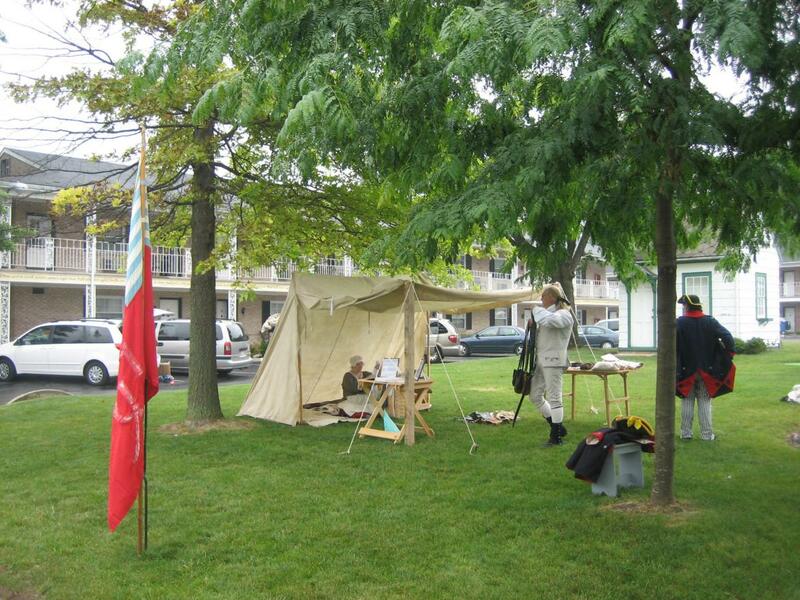 There were some Revolutionary soldiers across the street at the Quality Inn. 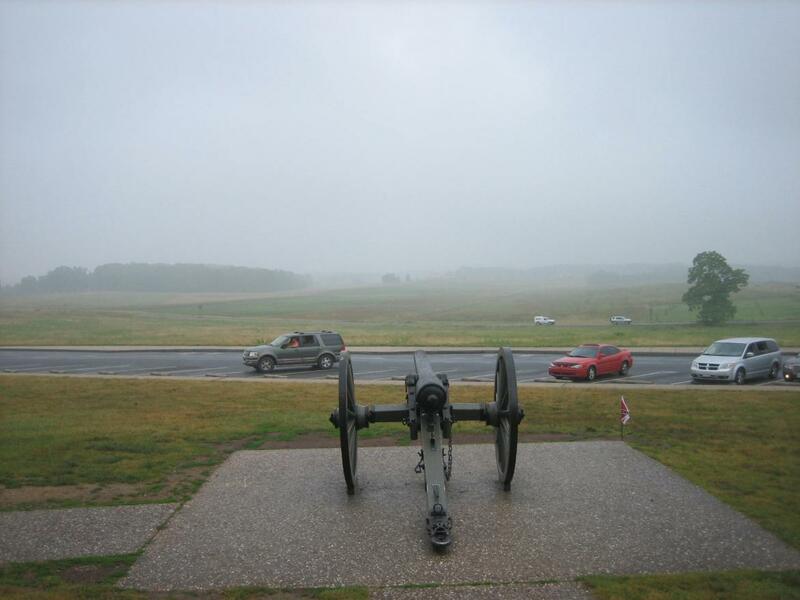 This view was taken from the northwest facing southeast at approximately 9:45 AM on Saturday, July 5, 2008. The Provost Marshall had his stocks out front… This view was taken from the northeast facing southwest at approximately 9:45 AM on Saturday, July 5, 2008. 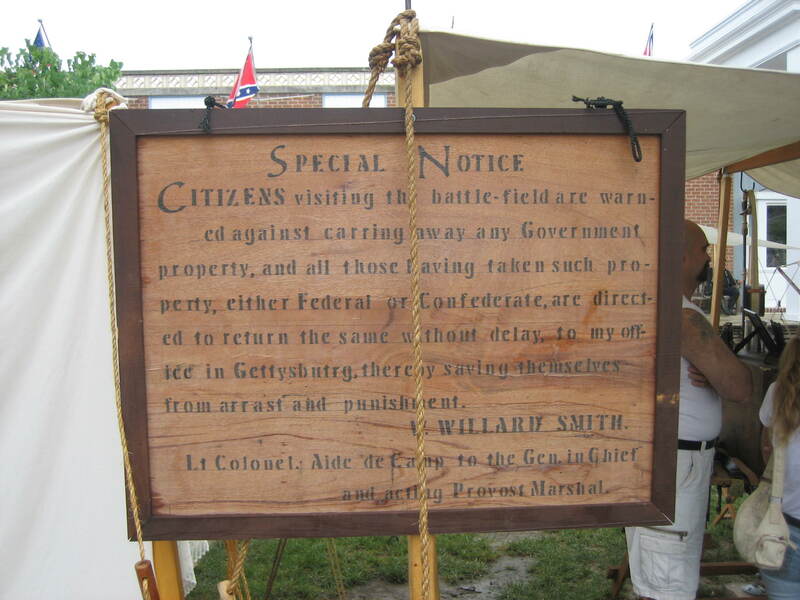 … and a sign warning visitors not to loot items from the battlefield. This view was taken from the south facing north at approximately 9:45 AM on Saturday, July 5, 2008. The hospital tents with a body on the cot waiting for an operation. This view was taken from the northeast facing southwest at approximately 9:45 AM on Saturday, July 5, 2008. 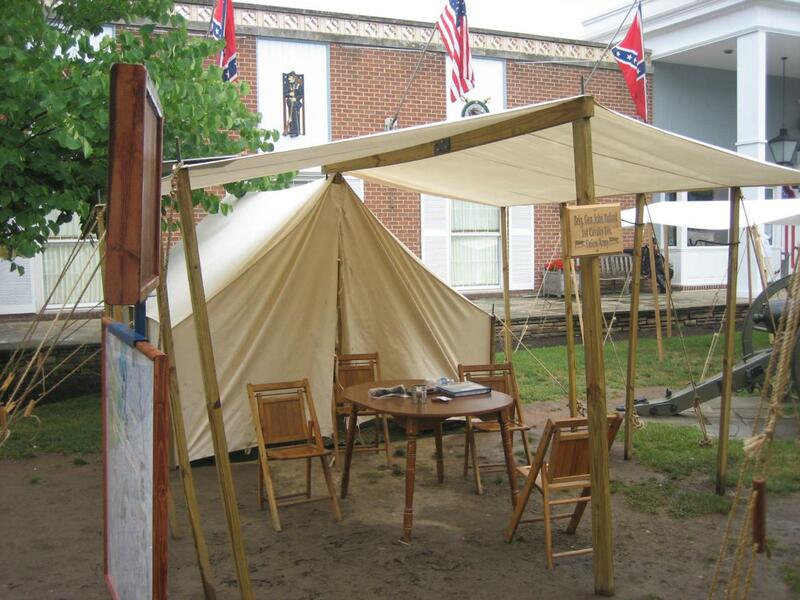 Union cavalry commander John Buford’s tent. This view was taken from the south facing north at approximately 9:30 AM on Saturday, July 5, 2008. Confederate cavalry commander J.E.B. Stuart’s tent. This view was taken from the northeast facing southwest at approximately 9:30 AM on Saturday, July 5, 2008. The ladies and/or camp followers were also in full force to explain civilian life. This view was taken from the south facing north at approximately 9:30 AM on Saturday, July 5, 2008.